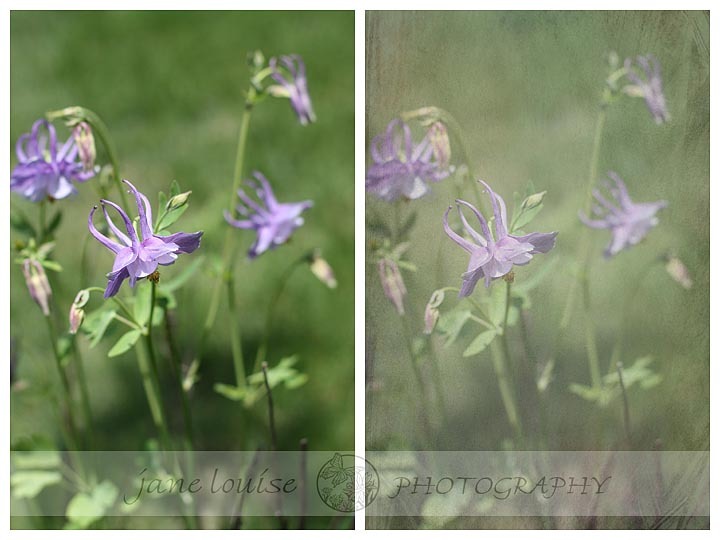 Left: SOOC shot of Columbine in bloom in our garden. Right: Keiki and Kupukupu textures (35% and 20%) from Love That Shot; texture overlays on the original photo. Columbine=one of my favorite spring flowers! It attracts the hummingbirds!